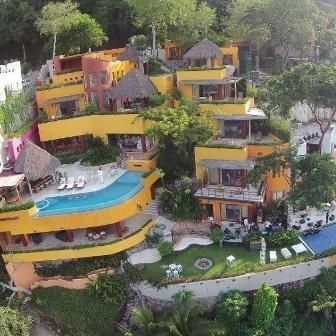 Villa Mandarinas 4920 | NuHome Realty Co.
Villa Mandarinas is a stunning ocean front estate near the jungle village of Mismaloya, this dramatic property has been listed in AD Readers Poll of Top New Designs. 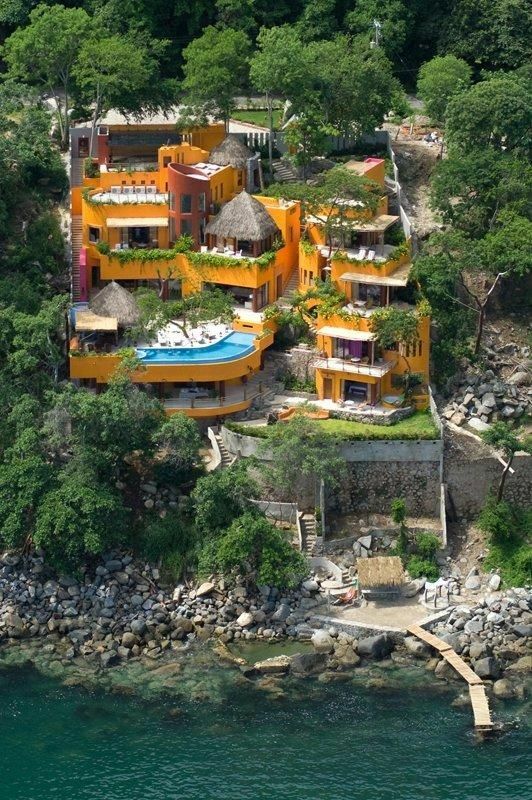 Cascading down six tiers, the villa features a man-made beach platform and sea pool at the ocean’s edge. Villa Mandarinas offers the ultimate in privacy in an eco-reserve environment, the high-end architectural details infuse organic elements and modern amenities. Soaring cathedral ceilings, custom hardwood details, natural stone floors and countertops, floor to ceiling windows, hand-blown glass chandeliers, specialty painted walls and murals along with unlimited views from every room add to the incredible ambience of this amazing home.